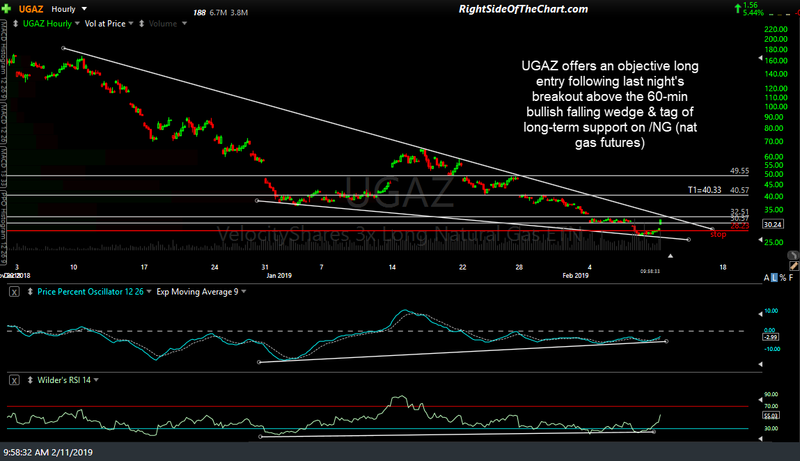 UGAZ (3x Long Natural Gas ETN) offers an objective long entry following the breakout above the 60-minute bullish falling wedge in /NG (nat gas futures) in last night’s trading session. 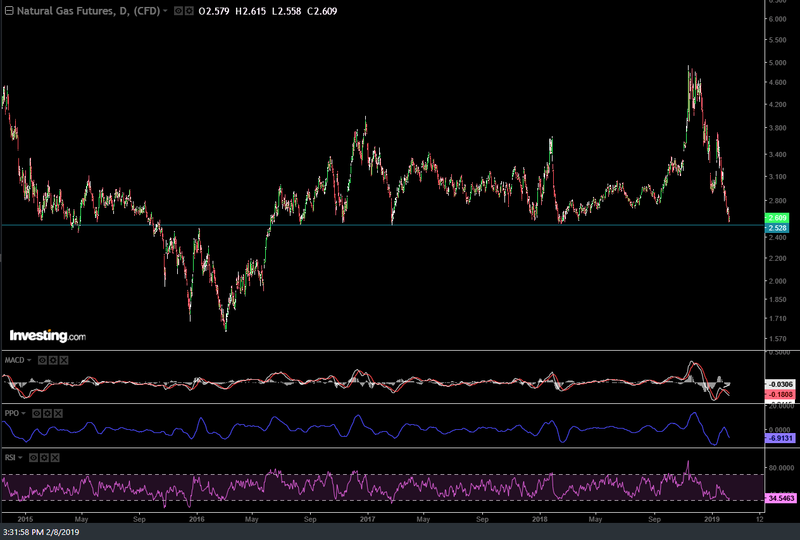 The sole price target at this time is T1 at 40.33 although that target may be revised based on where /NG is trading if & when UGAZ begins to approach that level. 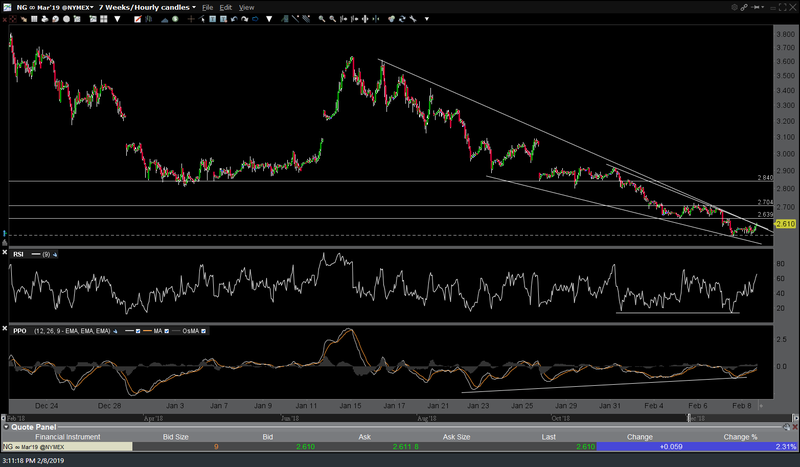 Additional price targets may be added as well, depending on how the charts develop going forward. Taking into account the extremely volatile nature or natural gas prices coupled with the 300% leverage factor, the suggested beta-adjusted position size for this trade is 0.30. The suggested stop is any move below 28.23. While UGAZ is still trading within the 60-minute bullish falling wedge, I put a much higher weighting on the charts of nat gas futures, as the ETN, which simply attempts to track nat gas prices by investing in natural gas futures, is prone to decay from both the leverage as well as other factors such as contango. 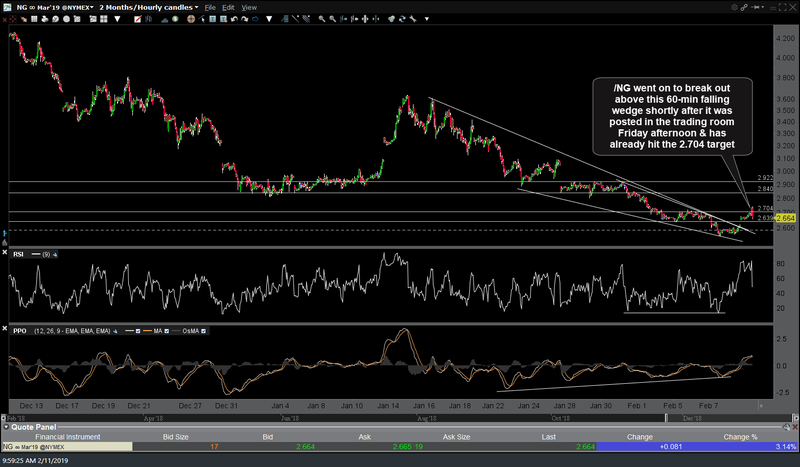 /NG went on to break out above this 60-min falling wedge shortly after it was posted in the trading room Friday afternoon (first chart above) & has already hit the 2.704 target (second chart). Additionally, /NG has fallen to a major long-term support level as shown on this daily time frame (same chart posted in the trading room on Friday). Thank you Randy! Took /NG long on the retest thanks to your heads up! Looks like a good setup. Darn, I sold near top of gap with a buy placed at gap fill. No gap fill so far.